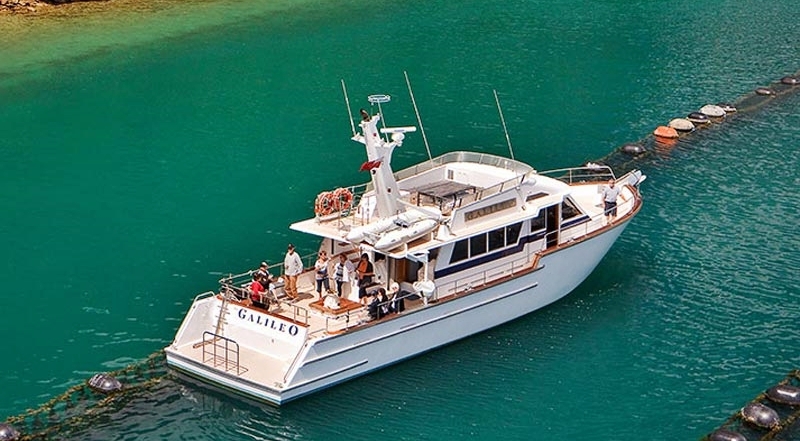 Take in the natural beauty of this stunning environment, learn about the history of the Marlborough Sounds and the pioneering families who have settled here. Visit a Greenshell Mussel farm where your launch captain will explain how and why this delicacy grows so well in the Marlborough Sounds. 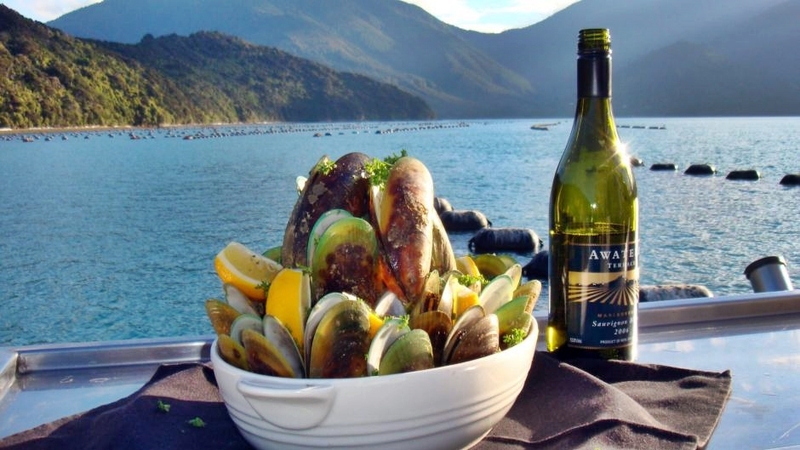 While at the mussel farm we serve freshly steamed mussels with a glass of Marlborough Sauvignon Blanc, a wonderful wine and food match in a beautiful part of Marlborough. Departing each day from Havelock Marina over the summer season at 1.30pm.